What have you learned about Jackson Donne over the course of five books? Do you approach him any differently now? Wow, just thinking about this makes me realize I’ve been writing about Donne in one form or another for about 20 years. Give me a second to take this all in and feel age descend upon me. Anyway, Donne started out very much the prototypical hard-drinking, dead fiancée, cynical private investigator. But the more I’ve written about him, the less I start to worry about the case Donne is involved in and more the ways I can challenge him. Because, to me, the key lies in the character and his journey. Often, the plot is there as a framework to put Donne into all types of trouble. So, in the early days, I might think about cases Donne could solve. Now I ask myself where he is in life and how he can be challenged. There has to be a reason to write that particular book. It has to be an event, and that’s how I approach Donne. What kind of story will make this book an event? There was a few year gap between the publication of the second Donne novel and the third. How did you grow as a writer during that time? I learned a lot about revision. I used to be a pretty bad reviser. I didn’t know how to attack the problems a book had in their early drafts and I needed a lot of readers to brainstorm with. A lot of that had to do with confidence. I didn’t always believe in the work I was doing and relied on others to tell me what to do. But with more work and practice, I started to see the early flaws. Being able to pre-write pitches instead of just writing willy nilly each day made the process smoother too. So, now, while I still have to revise a lot, I have enough confidence to see what the flaws are, and how I can improve them. 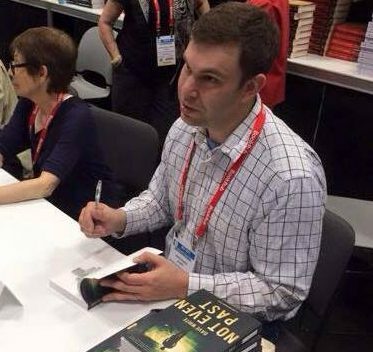 I interviewed Jason Pinter last year and he mentioned that you were the first author he signed to Polis Books. How did you two come to work together? How has Polis grown since you started working with them? Jason and I go back eleven years. When he was an acquiring editor for Three Rivers Press, I was on submission with the first Donne novel, WHEN ONE MAN DIES. He picked it up and we became colleagues and then fast friends. We both went our separate ways in publishing. 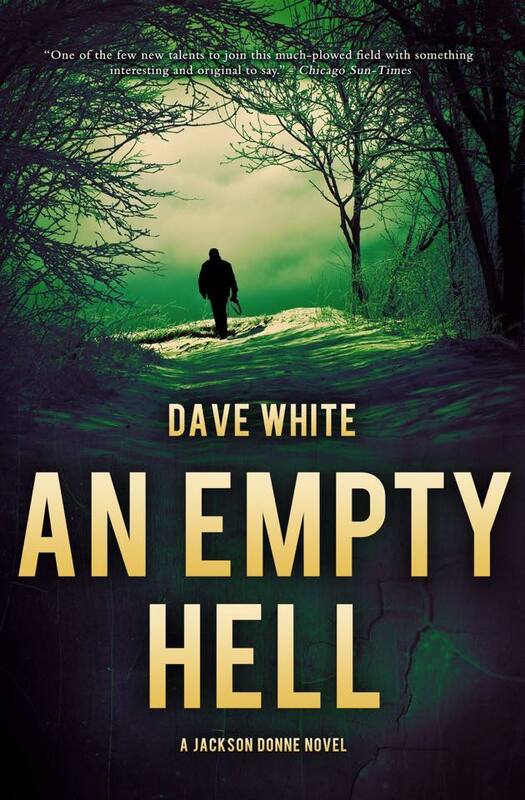 I self-published the bestselling WITNESS TO DEATH. Eventually, when he was starting Polis Books, he asked me if I ever wanted to write another Donne novel. I pitched him the idea for NOT EVEN PAST, and we had a handshake deal to start and went for it. Jason is great and one of the savviest people I’ve ever worked with, and I was so happy to join him again. How has Polis grown? Wow, man, look at that talent. From Mick Foley (yes, that, Mick Foley) to JD Rhoades, Leah Rhyne, Steph Post, Patti Abbott, Terrance McCauley, Rob Hart and Alex Segura. He’s landed a books from New Zealand, young adult books, sci-fi books and even Bryon Quertermous. I could rattle off the entire list of Polis authors and every single one of those books are something I want to read. It’s such a diverse and fascinating list. A long way from little ol’ me. How does the writing in your standalone thriller, WITNESS TO DEATH, differ from the Donne novels? If it’s possible, WITNESS TO DEATH, is both a bigger book than the Donne series and a smaller one. It’s my version of a James Bond novel. A spy novel, but with a normal, everyday guy at its center. 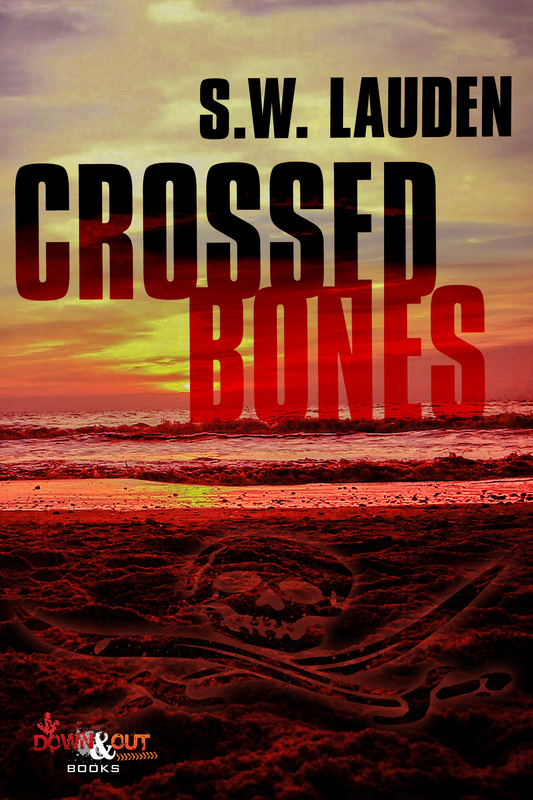 A teacher with a broken heart and an anxiety about water gets caught up in a terrorist plot. There are some big action set pieces in the book, but the main character can’t really handle himself for most of it. Donne can always handle himself in a bad situation. So seeing how a weaker main character can handle intense action was fun to explore. By day, you’re a Literacy Coach for the Clifton, NJ Public School district. How does your experience in that role influence your own writing? What advice would you give to yourself about writing at twelve years old? It’s funny, but I think at this point my writing influences my teaching more than vice versa. But a lot of the stuff I read in school affects how I think about writing. THE OUTSIDERS is one of the best novels that features voice out there. I love the sound of that book. I’ve taken so much from that book an added it into short stories, novels. We read “The Adventure of the Speckled Band” too, and I love coming back to that tale. It’s one of my favorite Sherlock Holmes’ shorts. So clever. What would I tell twelve-year-old Dave? That is such a tough question. But, I think I’d want that Dave to keep reading comic books. And keep telling stories. You know how it is at that age. You might enjoy something, but peer pressure is what peer pressure is. I gave it up for a while. But writing every day is what gets you to where we want to be, right? Right now I’m reading Alafair Burke’s THE EX. I love Alafair’s writing. Her books are so twisty and full of great characters. I can’t wait to see what this one turns out. My favorite crime writers of all time always starts with Robert B. Parker. He’s how I came to the genre. I also love Richard Stark. 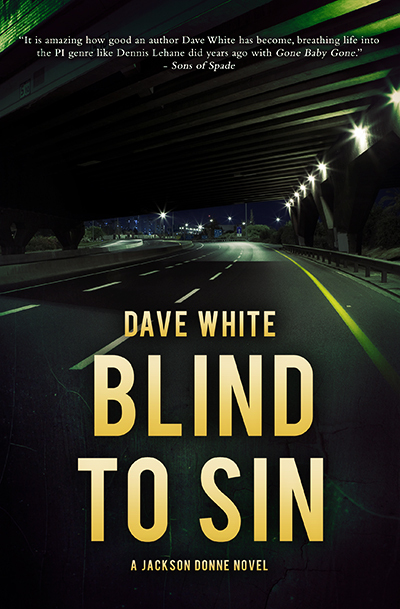 BLIND TO SIN is a combination of those two writers—or at least my best effort at it. Ross MacDonald, Dennis Lehane, Duane Swierczynski, Don Winslow, Laura Lippman and Megan Abbott are must reads to me. I have a bunch of stuff in the pipeline, but nothing with official publication dates. I’m taking a little break from Jackson Donne to work on a standalone I have high hopes for. It’s much closer in tone to WITNESS TO DEATH, but very different and high concept from that. I’ve also been getting back into the short story game for a few anthologies I’ve been asked to work on. Lots on my plate, but no official release dates, yet. Hopefully sooner rather than later though. Thanks for the opportunity, Steve!